The Regina Insight Meditation Community shares a commitment to the investigation and practice of the Buddha's teachings in the Theravadin tradition. Within our community we support and inspire each other to bring our insights and reflections into our daily life. This practice is woven through the way we relate to each other in our community by respecting and honouring each person's direct experience. In this way, we pay homage to the three jewels of Buddha, Dharma and Sangha. 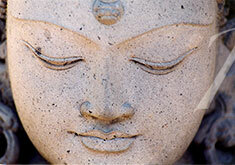 We welcome anyone who wishes to explore these practices and teachings to join us.